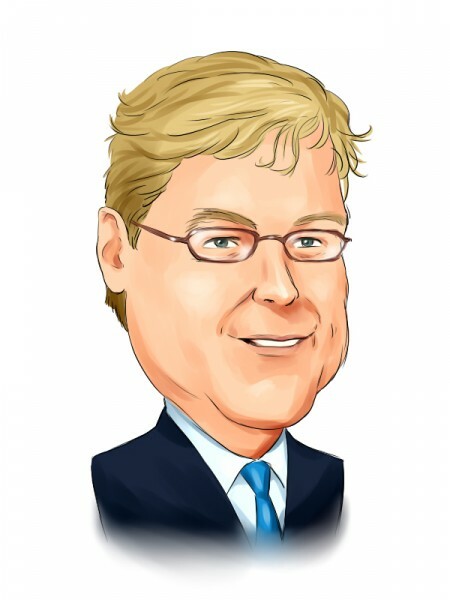 Odey Asset Management, a London-based fund managed by Crispin Odey has been reported acquiring a significant position in KEFI Minerals plc (LON:KEFI). The fund received 91.75 million shares of the company, which represent 10.75%. The securities have been received due to fund’s placement of additional 225 million shares of the company. KEFI Minerals plc (LON:KEFI) is a gold and copper exploration and development company. In December, the company acquired 75% of the share capital of Nyota Minerals (Ethiopia) Limited. Also the company announced the placing of 225 million ordinary shares of the company. At the end of last year, KEFI Minerals plc (LON:KEFI) had around 853.67 million ordinary shares outstanding and 461.10 million in options and warrants. Among the largest shareholders are NYOTA Minerals (BERMUDA) Limited, with an ownerhip of 18% of the voting rights and The Bank of New York (Nominees) Limited with 12.5%. Among other moves in LSE-listed companies, Odey Asset Management raised its stake in Ocado Group PLC (LON:OCDO) to 17.02 million shares, from 16.71 million shares. A couple of days ago, Crispin Odey and his fund went on the radars after winning a £13.5million bet against Manchester United PLC (NYSE:MANU). The fund held a “short position” on the Manchester United’s shares listed on the New York Stock Exchange, according to Daily Mail. In the equity portfolio of Odey Asset Management, the largest holding is represented by Delta Air Lines, Inc. (NYSE:DAL), in which the fund owns 13.63 million shares, with a reported value of $321.42 million. The next one is a $314.19 million stake in Signet Jewelers Ltd. (NYSE:SIG), which contains 4.39 million shares.